Costochondritis — also known as costosternal syndrome — is the sharp pain you feel along the costosternal joint, which connects the ribs to the sternum. It's caused by irritation and inflammation of the cartilage. The cause of the condition isn't well understood, but certain factors are known to aggravate your discomfort once the inflammation has set in. 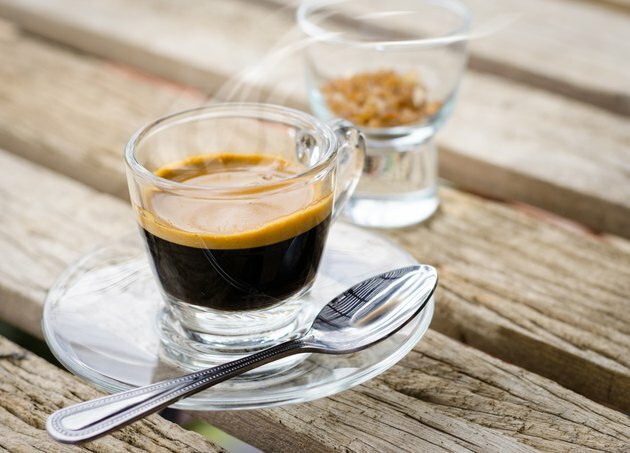 Caffeine is one substance that could potentially worsen symptoms of the condition. Talk to your doctor to determine if the chest pain is associated with costochondritis or an entirely different condition. Although no scientific evidence actually supports this claim, some people notice a worsening of symptoms associated with costochondritis after having caffeine, notes the Andorra Pediatrics website. Limiting or restricting caffeine intake may help to reduce your chest discomfort. It won't, however, get rid of the pain entirely. Other measures are often necessary to do this. Along with limiting your intake of caffeine, you may improve symptoms by avoiding activities known to worsen pain. Some of the more common include lifting, pulling or pushing. Activities that require these movements can increase the pressure along the chest, further irritating already inflamed cartilage. Repetitive movements are often problematic as well. Many people also see an improvement in their discomfort by heating the area several times a day. The need to avoid activities that aggravate symptoms shouldn't dissuade you from exercise. In fact, exercise can frequently help improve costochondritis, according to MayoClinic.com. As long as your choice of athletic pursuit doesn't cause pain, you should be fine. If you're new to fitness, stick with gentle exercise, such as walking, swimming or biking, and progress from there. Always talk to your doctor to help determine what type of fitness program can benefit you the most. If self-care fails to improve symptoms, or pain persists, you may need medication to bring about relief. Nonsteroidal anti-inflammatory drugs are the most popular medications used to treat this condition, advises MedlinePlus. This doesn't mean, however, that other medications can't help. Some doctors prescribe muscle relaxants or antidepressants to alleviate more severe pain. Can You Get Chest Pain From Lifting Weights? Why Does My Chest Hurt After Cardio?